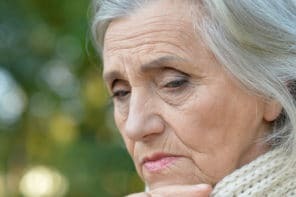 Nobody wants to talk about being constipated, but it’s an issue that many older adults and caregivers have to deal with. Digestive discomfort can seriously affect your senior’s life. It can cause them to not want to eat or exercise and to be generally cranky and uncooperative. 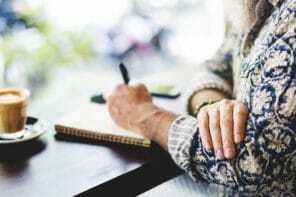 It can also cause unwanted behavior in older adults with Alzheimer’s or dementia – like getting into their incontinence briefs. Ongoing constipation can make life miserable for them and you. The New York Times shared helpful tips on how to relieve chronic constipation in safe, gentle ways. Their article is based on new research by Dr. Wald, a gastroenterologist at the University of Wisconsin School of Medicine and Public Health. 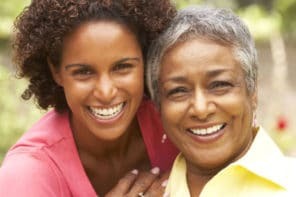 We’ve summarized the points from the article that are most useful for caregivers. What’s the medical definition of constipation? Contrary to popular belief, you don’t have to have a bowel movement every day in order to be considered regular. But going longer than 3 days without a bowel movement is too long. And by then, stool has become harder and more difficult to pass. Note: If constipation is caused by a nerve or muscle problem, it may be better to eat less fiber and instead, use medication that adds water to the colon to soften stool. Check with the doctor for the best solution. Exercise is great for overall health, so it’s no surprise that it also helps regulate the digestive system. It’s a good idea to have a daily routine where your older adult at least “tries” to go at the same time every day. But whenever they feel the urge, they should go immediately. Add a product like Benefiber or Metamucil to beverages – today’s formulas should dissolve completely and won’t be gritty. Dr. Wald’s research showed that long-term use of laxatives like Senokot or Dulcolax won’t harm the colon or cause dependence if they’re used in recommended amounts. Of course, you should always speak with your senior’s doctor before trying any new treatment or medication. Don’t hesitate to discuss constipation with your older adult’s doctor. If you’ve tried a combination of dietary changes, exercise, and over-the-counter remedies and your senior isn’t getting any relief, it’s time to see the doctor to rule out other medical conditions. — Why Do Seniors Lose Their Appetites? — Why Do Seniors Have Trouble Swallowing? What daily health maintenance supplements are good for seniors? Thank so much. Each person’s health conditions and needs are different so it’s best to talk with your older adult’s primary doctor to find out if they recommend any vitamins or supplements. And if someone is already taking other medications or over the counter drugs, a doctor should review any added vitamins or supplements for possible negative side effects or drug interactions.